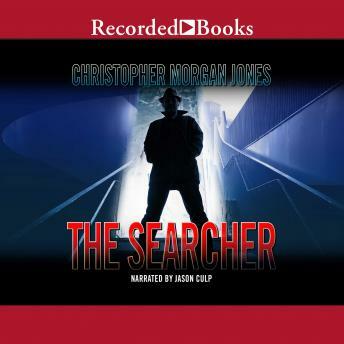 An unlikely hero dives into the chaotic madness of Russia and Georgia's deadly covert conflict in this rapid-fire tale of corporate espionage gone awry The acclaimed author of The Silent Oligarch and The Jackal's Share, Christopher Morgan Jones returns to a murky world where corporate spies and government agents battle far from the public eye. Focusing on Georgia, a mountainous republic threatened by Russia to the north, Morgan Jones carries readers deep into an ancient land of chilling compromises and foolhardy valor. Morgan Jones's novels center on a unique London corporate espionage firm spearheaded by Ike Hammer and Ben Webster, which follows criminal money anywhere it leads: be it Moscow or Dubai, Monaco or Kazakhstan, a bureaucrat's pockets or a politician's bank account. While Webster was the star of the earlier novels-investigating Russian businessmen and KGB operatives in The Silent Oligarch, Persian billionaires and Tehran terrorists in The Jackal's Share--in The Searcher the focus shifts provocatively to Hammer, making this a perfect starting point for old fans and new readers alike. Journeying to Georgia for the funeral of a friend, a journalist who inexplicably committed suicide after publishing the expose of a lifetime, Webster mysteriously disappears. As the country rumbles ominously with civil strife and Russian aggression, Hammer rushes to Tbilisi to track down his missing friend. Once in Georgia, Hammer is forced to confront the country's tragic chaos: civilians bombed either by cruel Russian spies or by deceitful Georgian soldiers; violent riots instigated by amoral oligarchs or government saboteurs; double and even triple agents who play all sides against each other at once. Threatened by enemies he cannot name and "friends" he cannot trust, Hammer rushes north-into the lawless mountains bordering Russia itself-to discover the true fate of his friend and Georgia's future.